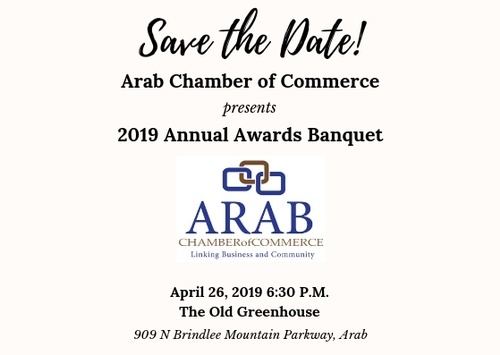 Join us for the Annual Chamber Awards Banquet. We will present the awards for this year's Industry and Business of the Year, Citizen of the Year, and Teachers of the Year. 909 N Brindlee Mtn. Pkwy. Tickets may be purchased online or at the Chamber office for $40 each.